October 16, 4:30 – 6:30 p.m.
Register here to join us for the Walk & Talk: West Seattle. Feet First is pleased to host this one-of-kind opportunity to connect community members with local leaders and public officials in a forum for open discussion about pedestrian safety and accessibility in the community. We will visit Link light rail station alternatives at West Seattle Junction, Avalon, and Delridge. * Sound Transit is currently evaluating and gathering public input on potential station sites. 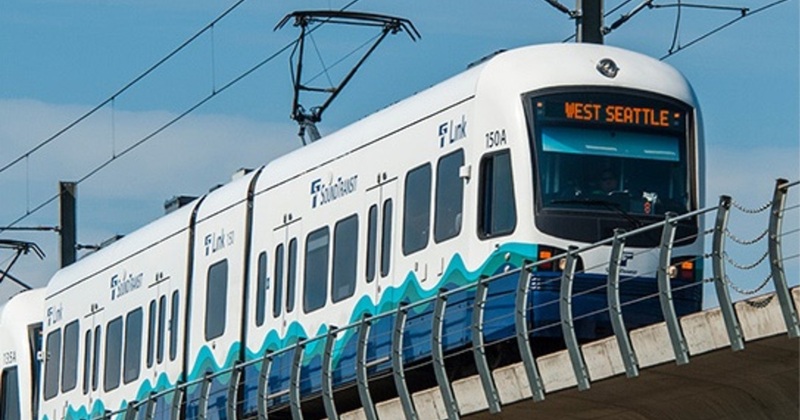 King County Council Chair Joe McDermott will outline some of the planning challenges and considerations to developing the West Seattle light rail stations. The Link light rail site selections will influence West Seattle development over the coming decades, including whether or not people have safe and accessible walkways. We will discuss tradeoffs between the various site alternatives and how to ensure good walking access to the light rail system. Don’t miss out on the post-Walk & Talk refreshments at Ounces Taproom & Beer Garden! Join us for further discussion, a thirst-quenching selection of Washington beers and delicious food from the Bella M’Briana food truck. Ounces will generously provide a percentage of beer sales from the evening to Feet First. Feet First, Washington state’s only pedestrian advocacy organization, has been the established leader in working to ensure all communities across Washington state are walkable. Since 2001, we have worked with communities, schools, government agencies, and elected officials to promote policies and actions proven to improve pedestrian safety, mobility, and access for all. Our mission is to promote the growth and sustainability of walkable communities – a cornerstone of public health, social equity, and community engagement. *The Delridge portion of this walk is optional. Sign up here for this free Walk & Talk: West Seattle.